Today we have a heightened sense that in fact everywhere the Church is missionary. As Pope Francis puts it: we are all “permanently in a state of mission”. But he has also recently said that we should not neglect what is called the missio ad gentes – mission to the (other) people or to the nations, as distinct from mission ad intra – mission to to ourselves. In fact he has declared October next year as an Extraordinary Missionary Month with the aim of fostering a contemporary awareness of the mission ad gentes. To put it simply, of our faith and charity and understanding of justice there is still much we can share with communities in the developing world. Missionary vocations enrich everyone; they are a kind of 360 degrees prism on our Church and world. For many Kiwis, the mission ad gentes is closely associate with the Columban Fathers. Their Far East magazine has been a constant in homes and church porches for decades. And many New Zealanders have been and still are Columban Fathers (there are also Columban Sisters though few if any Kiwis among them, and a growing lay network of missionaries). 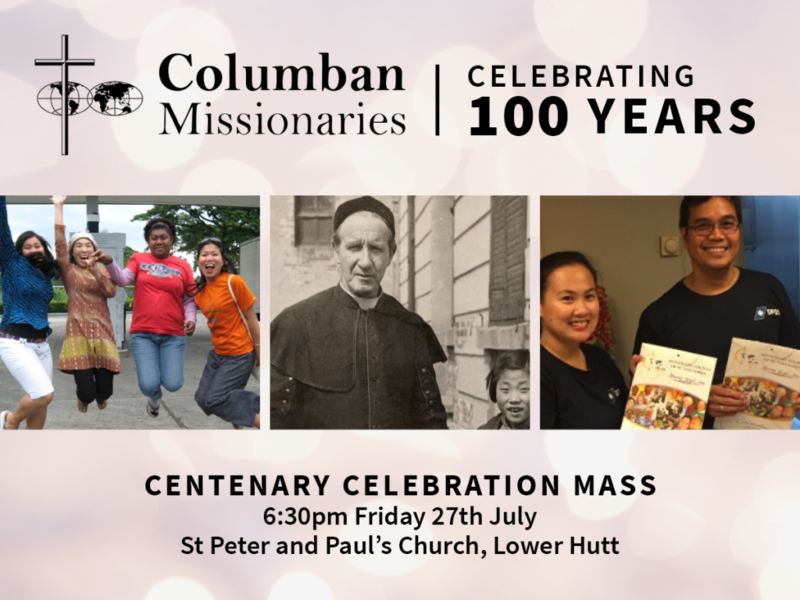 This year the Columbans are celebrating 100 years of mission. New Zealand is part of that story and I hope part of their future too.